Independent British distributors Optimum Home Entertainment will release a Double Play edition (Blu-ray/DVD) of John McNaughton’sHenry: Portrait of a Serial Killer (1986), starring Michael Rooker, Tracy Arnold, and Tom Towles. Street date is October 24th. 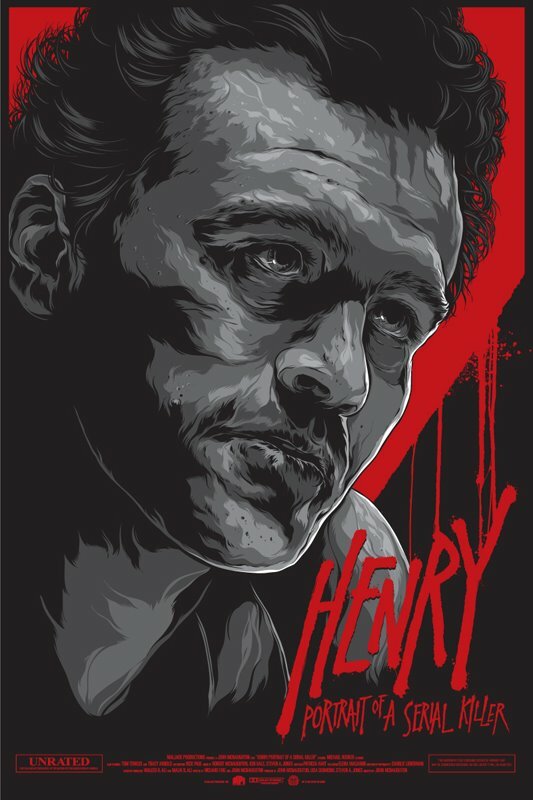 Based on the harrowing true story of one of America’s most notorious mass-murderers, Henry Lee Lucas (portrayed with a dead-eye passivity by a scarily resonant Michael Rooker), John McNaughton’s Henry: Portrait of a Serial Killer builds to a disquieting and horrific climax and provides a sobering, nightmarish glimpse into a deranged and damaged mind. On its initial release, America’s MPAA gave the film the notorious X-rating, claiming that they “wouldn’t know where to begin cutting”. While in Britain, Chief Censor James Ferman took a whole year to give the film a certificate. “One of our psychologists said the film was remarkably accurate,” he argued, effectively giving it its best review. Rooker wanted the perfect sign off for his character’s hand Merle’s cutoff hand in The Walking Dead series. 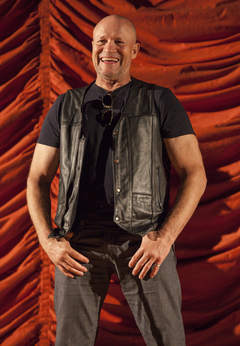 Michael Rooker appears at a press conference announcing the new Illinois Department of Transportation’s new safety campaign on Thursday, Aug 21, 2014 at the Music Box Theatre in Chicago. Do we love Mondo posters?